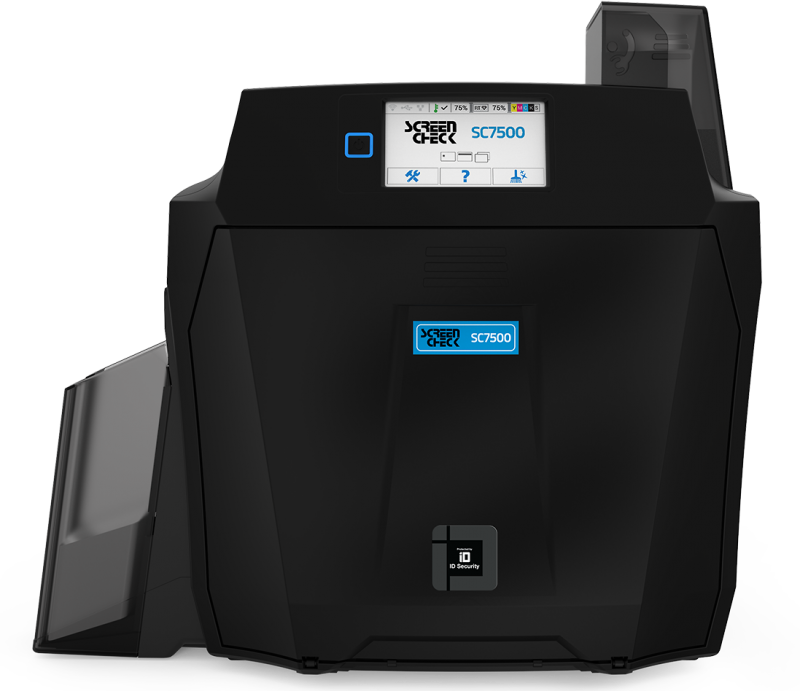 SC7500 is the World�s first retransfer printer with built-in visual security, with the ability to apply a secure watermark to each card during the retransfer process. This feature also exploits the wavelengths of the film to fluoresce under UV lighing conditions. An intuitive touch screen, with print preview and supplies indicators, provides an easy-to-use interface to an advanced and durable print engine, powered by a high grade processing unit and boasting an impressive array of features. 300dpi retransfer, 256 colour depth level (8Bit) with automatic card feed system. HoloKote built-in security watermark is printed across the entire card surface, this feature also exploits the wavelengths of the film to fluoresce under UV lighting conditions. Available with 10 watermarks as standard, any of these watermarks can be replaced with your own customised design or company logo through an easy-to-use, but securely encrypted, online delivery method. HoloKote printing requires the use of secure dye film (YMCKS). Smart card encoding; ISO 7816, EMV contact chip, MIFARE�, DESFire�, iClass� and others. 3 years UltraCoverPlus TM warranty and support with hot swap printer and lifetime printhead cover - Available in North America, EU and other selected territories. Elsewhere a minimum of 1 year limited depot warranty. Internal 4 port USB HUB (1.1). (1x WiFi option, 1x encoder option, 1x Micro SD option, 1x unassigned). Windows XP, Vista, 7, 8.1, 10 (32 and 64bit) Windows server 2003 R2 SP2, 2008, 2012, 2016. GNU/Linux and Mac OS X 10.9.0 upwards. 200 card feeder, 200 card stacker. Colour: up to 125 cards per hour. The ScreenCheck SC7500 Retransfer Single Sided ID Card Printer features a 3-year warranty.